Duck Dynasty’s patriarch Phil Robertson turned 68 on Thursday, April 24. 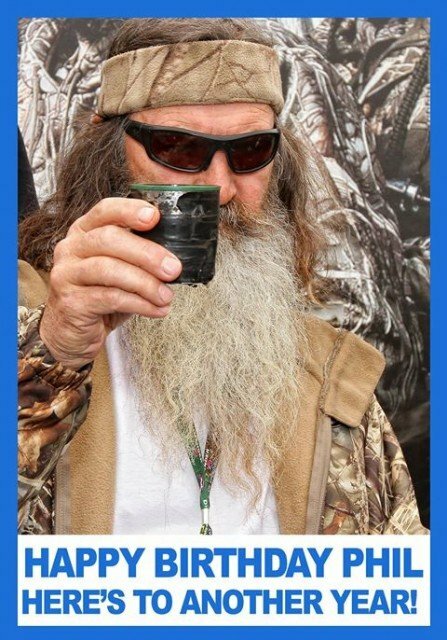 Phil Alexander Robertson was born on April 24, 1946. He attended Louisiana Tech University, where he played football, but turned down an opportunity to play professionally with the Washington Redskins. Phil Robertson received a master’s degree in education and spent several years teaching. He was the subject of controversy after a 2013 interview he did with GQ magazine, where he said that gay behavior is sinful. Phil Robertson, a devout Christian, is married to Miss Kay and they have four children together – Alan, Jase, Willie and Jep.